Islander Michael McNemar was released on $100 bail at Riverhead Courthouse on Wednesday. 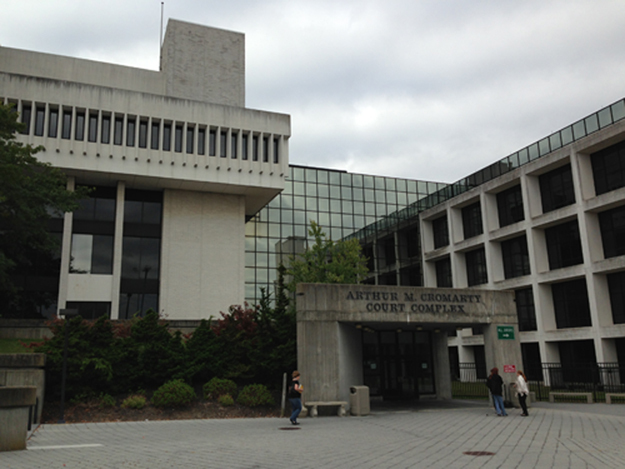 Islander Michael McNemar was due in Suffolk County Courthouse on Wednesday. REPORTER FILE PHOTO | Michael McNemar received a sentence of four months in jail for assault Friday at Suffolk County Criminal Court in Riverhead. Suffolk County Criminal Court Judge John Toomey sentenced Michael McNemar, 41, of Shelter Island to four months jail time after he pleaded guilty to assault with intent to cause serious injury. After serving his sentence at the Suffolk Country Correctional Facility in Riverside he will be on probation for an additional five years. Mr. McNemar was arrested by Shelter Island Police on March 21 after Eastern Long Island Hospital officials reported injuries his victim sustained. He was originally arraigned in Shelter Island Justice Court before Judge Helen Rosenblum on charges of assault and strangulation, both in the second degree. The case was transferred to Suffolk Country Criminal Court and Mr. McNemar obtained two delays of sentencing on the revised charge of assault with intent to cause serious injury. When he sought a third postponement Friday, Judge Toomey denied the request. Mr. McNemar had been free on $20,000 cash bail. Judge Toomey ordered Mr. McNemar to continue anger management sessions and continued an order of protection to keep him away from his victim.